Donald Trump appeared to be edging toward accepting a deal struck in Congress that would give him significantly less money for the wall. 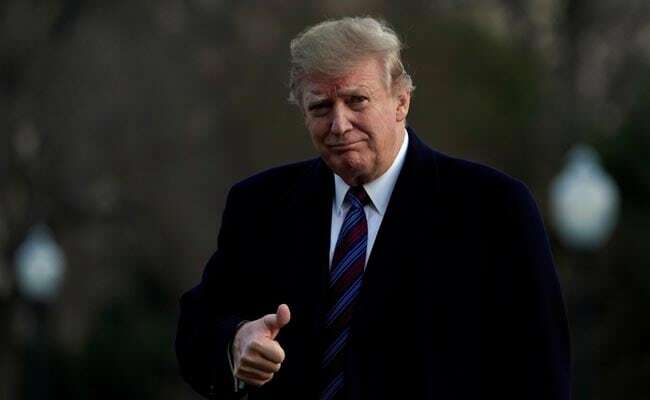 President Donald Trump indicated Tuesday he will climb down over his threat to shut the government even if he doesn't get all the money he has demanded for building walls along the US-Mexican border. This was far less than the $5.7 billion Trump wanted, but it was presented as a workable deal to satisfy both sides and allow Trump to shelve his threat to shut down swaths of government on Friday. Trump said he would manage to "add" to the congressional funds, though he did not explain how. Hundreds of miles of barriers already run along the US-Mexican border but Trump says far more are needed to bring what he often calls an "invasion" of migrant criminals under control. Democrats say Trump vastly exaggerates the crime problem and uses the issue to whip up his right-wing voter base. For Trump, chants of "build the wall" were crucial to his surprise 2016 election victory. At a rally in El Paso, Texas, on Monday he introduced a new slogan for his coming 2020 reelection bid: "Finish the wall."